Do you know exactly when and how to maximize your Social Security income? In my conversations with clients and others, the topic of Social Security seems to invariably come up. It's no wonder, especially considering that Social Security income can make up as much as 85% of an individual's retirement income. (Source: U.S. Social Security Administration, Income of the Population 55 or Older, 2010). So what about you? What's your plan when it comes to filing for Social Security benefits? Every situation is unique, which is why it's so important to consult with a Social Security expert to determine the filing strategy that best suits your needs. Unfortunately, contacting the Social Security Administration (SSA) directly will not be of much help (those nodding know this firsthand). This is because SSA representatives are prohibited from offering recommendations or suggestions as to how and when a person should claim their benefits. As a designated National Social Security Advisor, I have assisted clients in navigating through the Social Security filing process, including identifying the best strategies for how, and when a client should file. Most people know a person may begin receiving their Social Security benefits at age 62 (earlier in some cases; e.g. disability). But what they may not know, is that by taking Social Security benefits at age 62, the recipient will only receive 70-75% of their Full Retirement Benefit (depending on the age of the applicant). And more importantly, this pay cut is permanent. 57% of men and 64% of women take their benefits before they reach their full retirement age. But it doesn't stop there. This permanent pay cut reduces any future spousal benefit to be received. For example, if a person born in 1960 began receiving his/her own benefit at age 62, his/her spouse would not receive 50% of the full retirement benefit as a spouse (maximum percent available), but rather, the spouse's benefit is reduced significantly, to 32.5% of the full retirement benefit. While it's true that delaying your Social Security filing will increase your benefit amount, waiting too long to file for Social Security can also prove costly. As mentioned above, a person may begin receiving Social Security benefits at age 62, albeit at a reduced amount. But, for every year a person forgoes filing for Social Security, their benefit amount will increase until they reach their Full Retirement Age and are eligible to receive 100% of their benefit. But it doesn't stop there. For every year after a person's Full Retirement Age that they delay receiving their Social Security, their benefit amount increases 8%, known as a Delayed Retirement Credit. Now, a word of caution. The SSA is perfectly content at handing out these 8% pay raises to a certain point. And that point, is known as age 70. Once you reach that magical 7-0 mark, your benefit amount 'is what it is.' Sure, your benefit will still increase with COLA adjustments (if/when those occur), but if you think waiting until your 71st birthday to begin receiving Social Security benefits will get you another 8%, think again. A married couple, in which both spouses qualify for Social Security benefits, can create unique filing opportunities not otherwise available. Here's a real client example to illustrate the importance of Social Security filing order. John and Megan (names changed), had always heard that delaying their Social Security income was the best choice. They were aware of the delayed retirement credits mentioned above, and decided to begin receiving Social Security benefits when John turned 70. 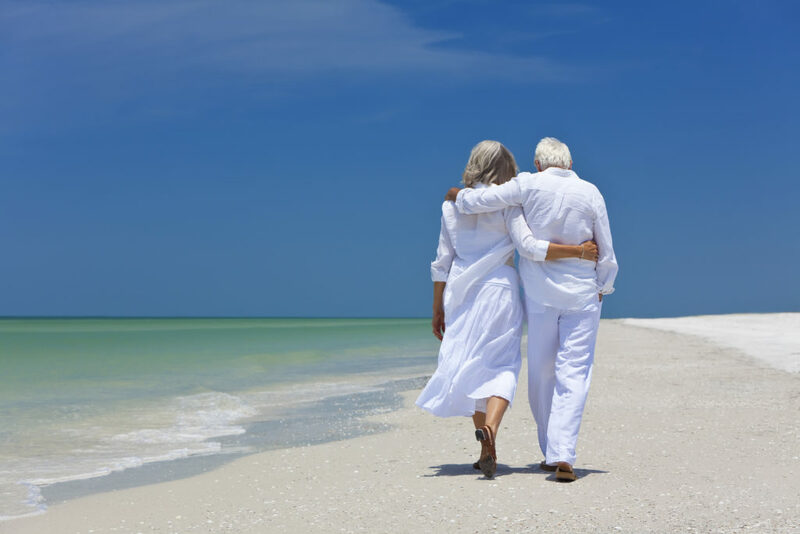 Through their Financial Life Inspection®, our Pacific Capital team analyzed their Social Security filing options and found that Megan was able to file for her own working benefits at her full retirement age, 66, and John could receive spousal benefits for the next few years. At age 70, John can file for his own benefits and Megan will be able to switch from her own benefits to a higher spousal benefit amount. This optimized filing order resulted in an additional $80,000 of income for John and Megan, and allowed them to begin receiving benefits 3 years earlier than anticipated. Back to the original question: Do you know exactly when and how to maximize your Social Security income? If you can’t answer this question confidently, then we should talk. By the time you retire, you’ve paid Social Security taxes for decades and deserve to receive the maximum benefits. Your Financial Life Inspection® shows you exactly which month and year you should file and begin receiving your Social Security benefits to maximize your income. Contact us today to get started!